It's Spring Break and I'm coming live to you from Cancun, here with 10 girlfriends! We just finished dancing on the tables at Senor Frogs and I beer-bonged 8 Coronas and am not too sunburned! ORRRR maybe I'm just down at my folks' lakehouse with my daughters and they are both napping now. Honestly, I'll take the latter scenario any day! We've had a great day so far -- arrived here at 10:45, had some friends from Charlotte to join us for some playtime and a pontoon ride, and ate lunch together before the friends hit the road back home. Now my girls are sleeping and I will be spending the next few nights with my parents where Mom and I will put a dent in some sauvignon blanc, plan out some fun new items for our Etsy shop, and have a great time playing with the girls. Dad will try to talk politics with me and I'll humor him for a bit. Ian's holding down the fort in Charlotte (sadly, no break for work for him) but Camille didn't have preschool or ballet this week so it seemed like the perfect time for a trip to the lake. DRINKING a nice tall glass of water. WATCHING the slow progress of my phone backing up to my computer before I update my iOS software. I've been having major phone issues and my new buddy with Verizon's customer service is hopefully helping me get everything up and running again! FEELING relaxed. At my own house, I always feel like there's something I should be doing -- folding laundry, clearing out clutter from my closet, swiffering. Here I can just kick back and chill. WONDERING what delicious food Mom has planned for this visit. She's a wonderful, creative cook. 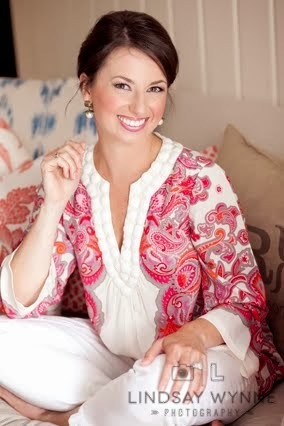 And lastly, some favorite things I've found recently on Pinterest! 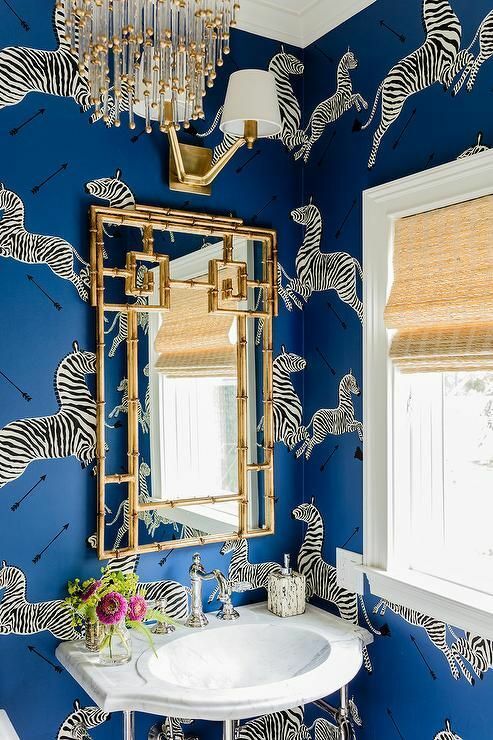 We are hopefully going to be beautifying our powder room soon and I just loooove this mirror! 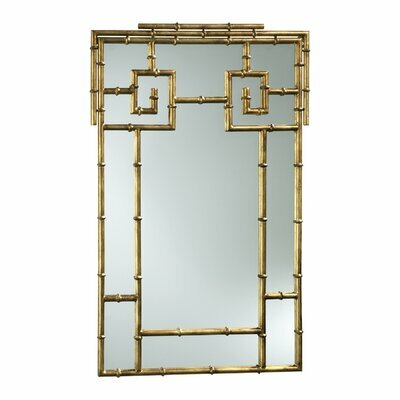 And now I'm feeling extra smart because I just went to wayfair.com and typed in "gold bamboo mirror" and found it! The exact mirror! 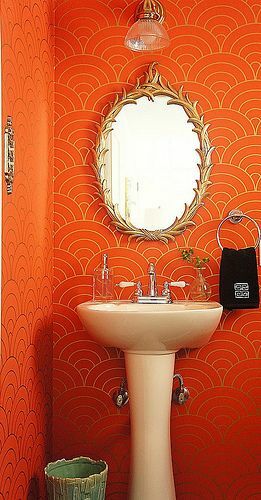 And look at this adorable powder room! 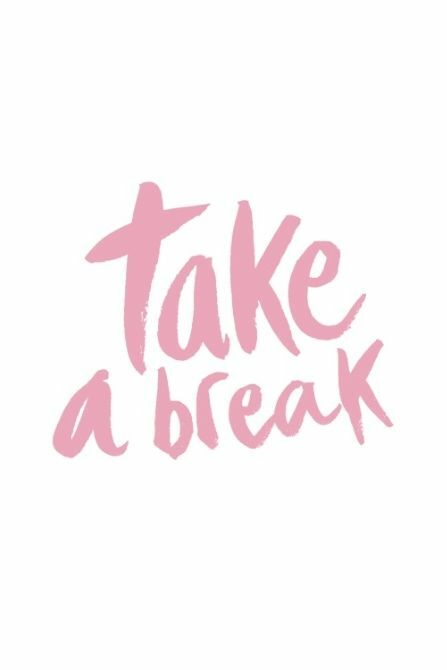 I'll check back in tomorrow, who else is on Spring Break? Sadly I'm not on Spring Break, but I'm so exciting that there will be more added to the Etsy shop! More bonnets please!! !